SU QLD’s 2018 Queensland Father of the Year Announced! 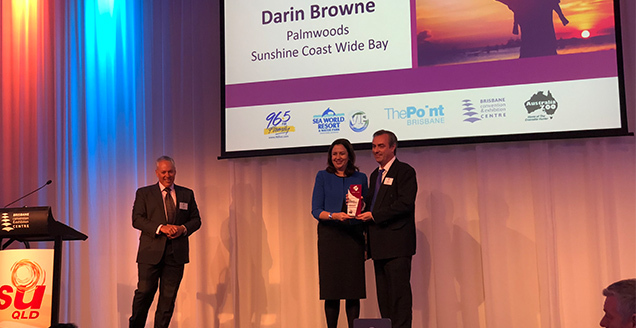 Sunshine Coast man Darin Browne, who has devoted his life to helping the less fortunate, is Scripture Union Queensland’s 2018 Father of the Year. Inspired by his own father’s example, Darin said he always wanted to “bless and care for people”. His children describe him as a loving, supportive father who never let his busy work life impact his time with them. Darin says his parents greatly invested in him as a child and he did likewise with his children. “I remember thinking as I was growing up that not only do my parents believe in me, and believe I can make a difference in the world, but they are also investing in me; investing time and investing resources to try and help me reach my full potential as a person and as a man,” he said. He and wife Fiona raised three daughters and have also been foster parents to troubled children. “The best thing about being the father of three girls is to see them grow into the women you want them to be,” Darin said. Daughter Kira said her father was a busy man outside of the home but never let that impact his time or his love for his children. “When he’s here and he’s present, he’s fully with us,” she said. Darin was one of four regional finalists for the state-wide Queensland Father of the Year award, which was announced at a ceremony in Brisbane yesterday (Thursday, August 30). 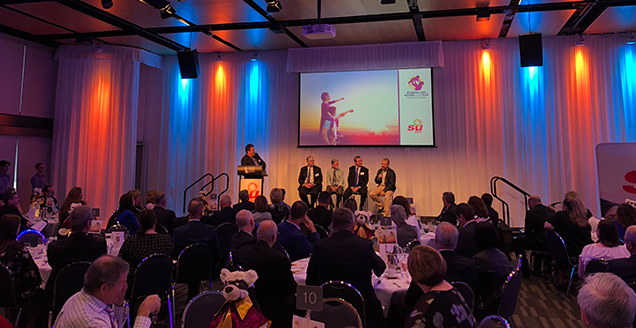 Hosted by Scripture Union Queensland (SU QLD), the Queensland Father of the Year award honours outstanding fathers for their exceptional commitment to raising their children, or for their exemplary contribution to the development of children in the community. Nominations were received from children, partners, and community members all over the state for dads who go above and beyond for their children, every day. 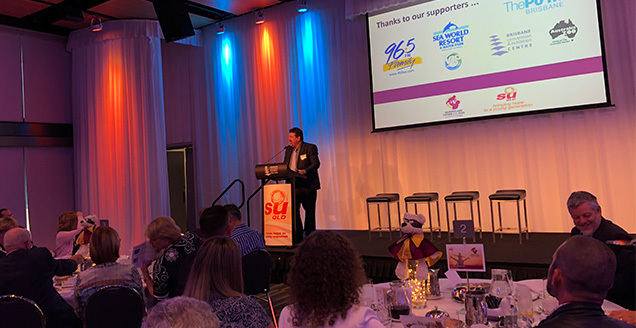 96five is the media sponsor of SU’s QLD Father of the Year. 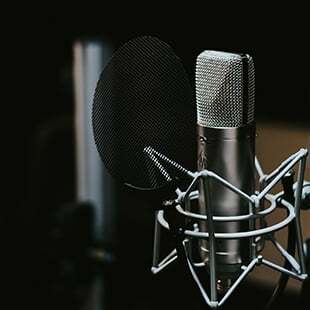 Other sponsors include Sea World Resort, Australia Zoo, The Point, Village Roadshow Theme Parks and Brisbane Convention and Exhibition Centre. 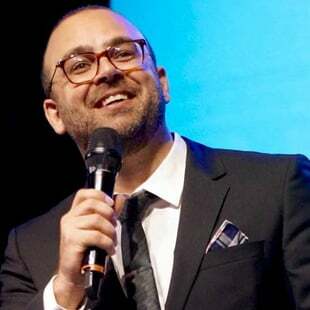 96five’s Robbie Parkin MC’d the event. 2017 SU QLD Father of the Year Announced!